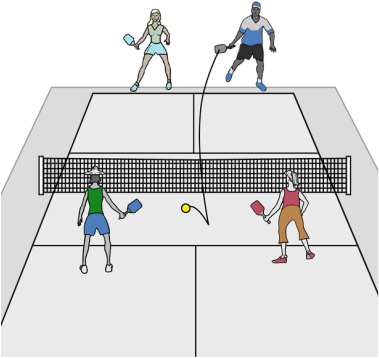 What Pickleball Paddle Is Right For Me? Hello everyone! I’m Kevin Johnson and I’m here today to help you to find the right pickleball paddle. I’m going to let the cat out of the bag there’s only one way to determine which is the right paddle for you. It’s to try it out so I’m going to go over some criteria with you to help you determine which paddle is the best fit for you. So first of all, you look for a paddle that somewhere between seven and eight ounces, the other aspect of the paddle that you’re looking for is that what it’s made out of a polymer honeycomb core. Now this is a sign of a long lasting quality paddle so keep in mind that we all come to pickleball we bring a previous racket experience with us. What I’m going to help you to do is find out a paddle that is actually compatible with how your natural swing motion is, so you don’t have to change any mechanics, it’s just finding a paddle that actually fits who you are. So first take the demo paddle and actually play a complete game in game conditions doubles so you can determine which paddle is the best fit for you. Also, you can find paddles online or find your local paddle tech rep who’s in your area and that person will have an array of paddles like the ones I’ve said earlier and hit with the different ones. 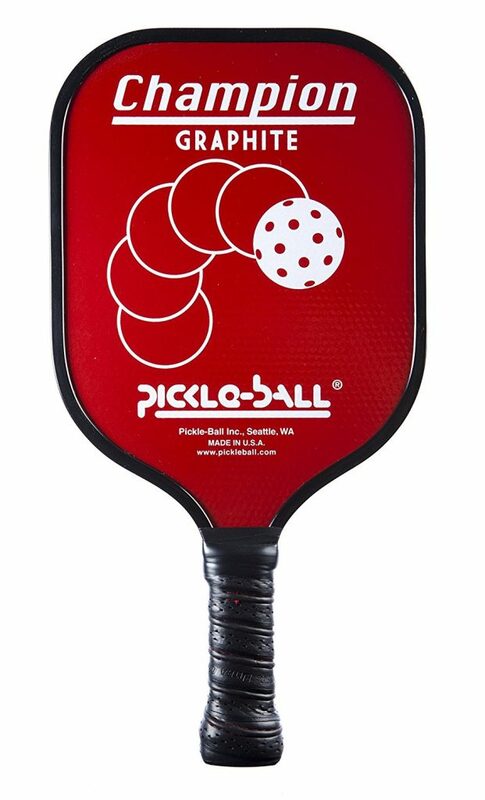 And if you don’t have a paddle tech rep in your area there’s a website like Sportystation with their awesome: The Best Pickleball Paddles – reviews and buying guide. So the first thing you’re going to look for, there’s three areas. The first area is the serve so when you hit that serve over the net you’re looking for that ball to land somewhere between the mid to rear of your opponent’s court. The second area to evaluate is actually groundstroke. So when someone comes and the opponent hits the ball bounces in front of you and you hit your return shot, whether it is beforehand or whether it be back hand, again you want to see that ball land somewhere between the mid to the backline court of your opponent’s court. The third area to evaluate in a paddle is the drop shot. Now from my tennis days I have a tendency to get hit more of a drop shot that’s more with motion. A lot of you will prefer to hit it where you want the paddle to do most of the work and that is the beauty of a polymer paddle is that they can help you do a lot of that. The paddle itself can help you do a lot of that work. After you’ve evaluated those three areas if you get high scores high marks in all three of those areas you found your paddle but as a double check, take a second paddle and go through the same criteria and then a third paddle and a fourth. 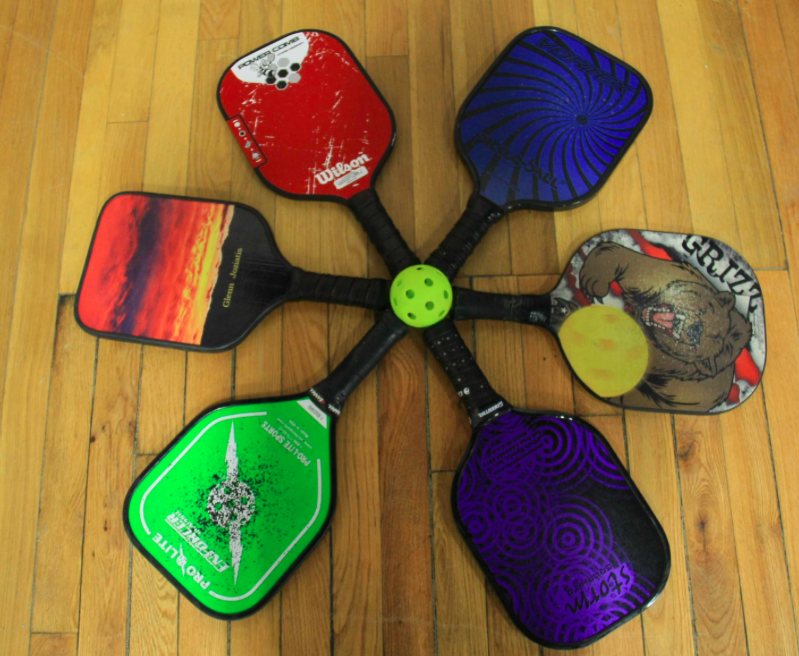 You will actually find within a short time which paddle is most compatible to your game. Now there’s going to be a few of you that will come to me and say Kevin, I can’t seem to feel the difference between the paddles! Well that’s okay in that case go for the mid-size paddle something like the Champion Paddle and they’ll be the perfect paddle for you.